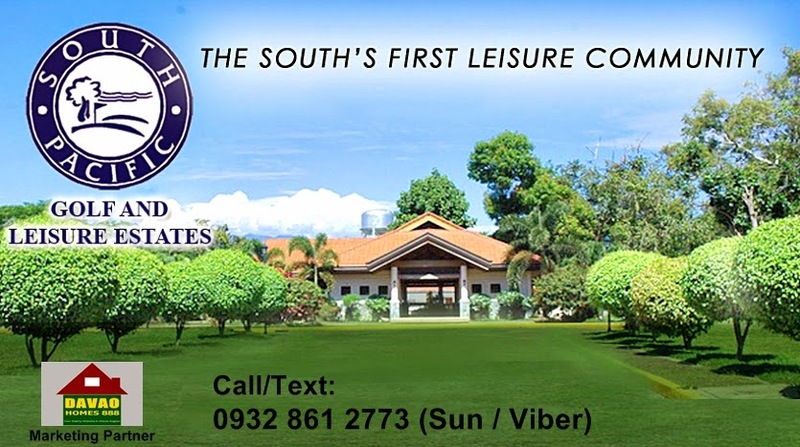 — is a first-class residential community in southern part of the metropolis, specifically in Catalunan Pequeño w/ an access road also in Puan, Talomo District. It is a 145 hectares of land property, wherein the 75 hectares is the Residential community and the 70 hectares is the Golf course . And the 10 hectares beach club share is the Bali Hai Beach Club located in Talicud Island in Samal. This is the first exclusive leisure estate that will give members unlimited access to The Golf and Country Club and The Beach in Bali Hai. — Wake up to sun-drenched days in a dream home that bodes of pleasure and serenity. South Pacific Golf and Leisure Estates presents a residential community charming in its rusticity and reminiscent of Europe’s Mediterranean Villages. Beautifully laid-out, this community fulfills your visions of a quiet, easy, and harmonious family life. — There are plenty of ways to break into the action here at South Pacific Golf Club. At the Arnold Palmer Golf Course, your arrival at every hole brings a new challenge and a sight to behold. The exquisitely designed 18-hole full-length open course is a challenge to your swing and a feast to your senses. Rolling greens are also masterfully laid out within a natural setting of ponds and creeks, taking your golf game on a new high in a calm, and relaxing atmosphere. — Presenting a dreamy and serene sight at the water’s edge is the Bali Hai Beach Club in Talicud Island. Nothing can be more pristine in a place where glistening bluish-green waters and miles of fine, white sand greet you. Aside from being a charming and exotic get-away, Bali Hai Beach Club boasts of high-end facilities and conveniences. South Pacific lot buyers get to have the chance of waking up to the sight of the sea’s endless expanse as "membership to the beach club is for free for every lot purchase". Minimum Cut Lot: 204 sq.m. – 832 sq.m. Facebook user add me up Davao Homes (Ree Amante) then pm me. Like my Facebook page " Davao Homes 888 " to get the latest updates.